For college students looking to leave campus and rent an apartment, things are getting harder, for over the past year, the overall real estate market in Boston for buying has improved, but rent prices are rising, creating a dilemma for students. Jeff Kaufman, 27, a programmer at Google, mocked up a map of Boston rent prices throughout the city. 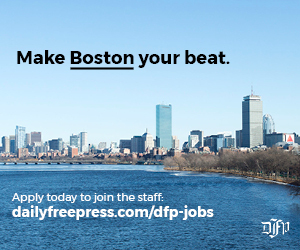 Although downtown Boston has the highest prices in the city — costing about $1800 a month per bedroom — areas around Boston University, Boston College, Massachusetts Institute of Technology and other universities can cost more than $1200 per month. Timothy Warren Jr., CEO of The Warren Group, a company that distributes real estate and financial information in New England, said the real estate market is growing again. Buyers and renters in Boston are seeing a changing market, but it is hard to predict where it may go, Mark Nemes, rental manager for Comm. Ave. Associates, said. The rent hike — about 10 percent last year as well as this year, is due to the number of people renting, Nemes said. Comm. 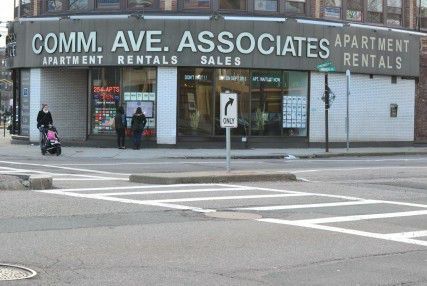 Ave. Associates is located on the corner of Commonwealth Avenue and Brighton Avenue. As a result, Nemes said the company sees many more renters because of its proximity to Boston University’s campus. 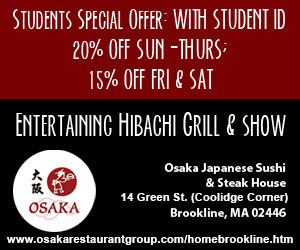 The high number of students might also be a factor of the low prices in the Allston area, which is still the cheapest for students close to the city, Nemes said. Renting is not the only option. Marc Russo, a broker at Atlas Properties located on Fairfield Street off of Newbury Street, said buying is a better choice right now. “The sales prices haven’t gone up that much in the past two years, and the rental prices have,” Russo said. “The interest rates are low, sopeople then to buy rather than rent. Russo predicts that rent prices will continue to increase, especially in areas heavily populated by students. “I don’t know if the rents are going to keep going, I imagine they would go up a bit this year again,” he said. “They went up quite a bi last year, especially toward the end of the rental season. Kathleen Ford, a senior at Emerson College who lives in Allston, said she is frustrated with the continuing increase in rent prices, but not surprised. Nemes also said it is a sellers market. Condos are of particular interest to people as buying becomes more popular, Warren said in the statement. Great article with regards to Elance and fairly informative in addition. I manipulate Elance web site designers Plenty through the years i truly believe there are some terrific creative designers upon Elance. In the end, Elance will be the major niche for on-line skill on-line definitely. I really like your blog its amazing.